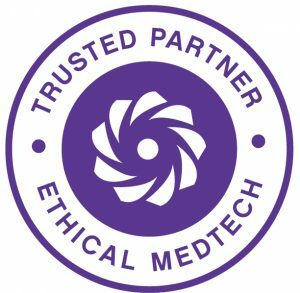 The 11th World Congress of the World Society for Pediatric Infectious Diseases is found COMPLIANT with the MedTech Europe Code of Ethical Business Practice. The MedTech Europe Code of Ethical Business Practice regulates all aspects of the industry’s relationships with Healthcare Professionals (HCPs) and Healthcare Organisations (HCOs). WHAT DOES THIS MEAN FOR THE SUPPORT OF WSPID 2019? As a trusted partner, Kenes Group will take on the responsibility for indirect sponsorship for WSPID 2019. The industry will entrust the Kenes Group and provide educational grants directly, and Kenes Group/WSPID will be responsible for participants (HCPs) pre-selection. Educational Participation Grants of any amount are appreciated and important to the success of WSPID 2019. Recipients (HCPs) will need to fulfill the criteria specified by WSPID in order to be eligible to apply for an educational participation grant. Accepted grant recipients will be contacted by the WSPID 2019 Congress Secretariat. Don’t wait any longer to fulfill your educational needs and/or start supporting medical education at WSPID 2019! I’m a MedTech Industry partner and I want to support medical education at WSPID 2019. Contact Industry Liaison here. I’m a HCP interested in attending WSPID 2019 to fulfill my educational needs. I would like to be considered for a participation grant (covering registration fees, travel and/or hotel expenses), if available. Submit an Application Form for Participation Grant here.